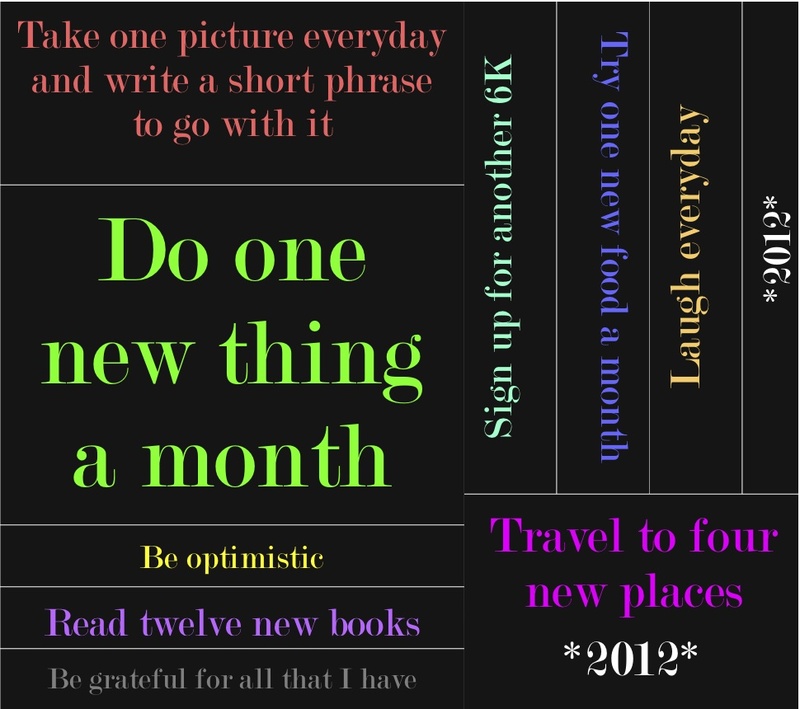 I spent a lot of time thinking about my resolutions for 2012. They aren't the usual, diet, exercise, eat right, etc. because let's face it, how long does that last? Instead, I decided that 2012 would be a year of "me." Things I would do that would make me happy and just focusing on that. I like what I came up with and I hope I can keep them! Ho passato molto tempo a pensare a quello che volevo fare nel 2012. Non sono le stesse, andare a dieta, fare l'esercizio, mangiare bene, etc. perche' alla fine, chi e' che lo fa' tutto l'anno? Invece, ho deciso che l'anno 2012 sara' dedicato a me. Cose che faro' per essere piu' felice. Io penso che ho fatto una lista buona e spero che lo faro'! 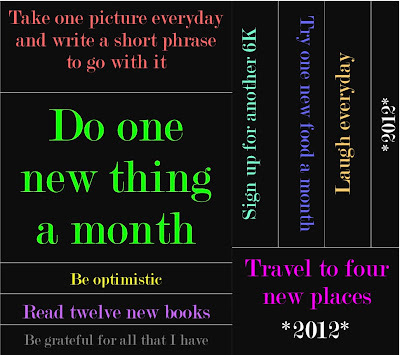 And then, because I'm awesome, I made a craft so that I could have my resolutions visible to me all the time. E poi, perche' sono brava, ho fatto qualcosa cosi' posso vedere la lista sempre. Added the year to the top and it's good to go! Happy New Year!! I hope 2012 brings everyone lots of joy! Buon anno nuovo!! Spero che il 2012 porta molta gioia a tutti! !